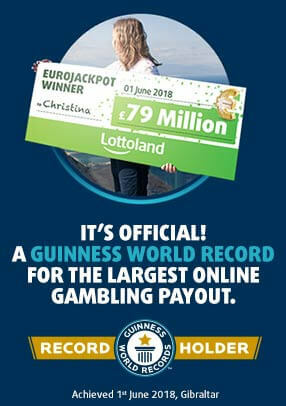 Lotteries have always been confined to a couple of draws per week, meaning long waits and few chances to win. With Lottoland's exclusive KeNow draw that’s all about to change. Find out everything you need to know about our amazing new KeNow lottery. KeNow is a totally unique lottery, which is only available here at Lottoland. With draws every 4 minutes, participants have the freedom to decide when to take part. 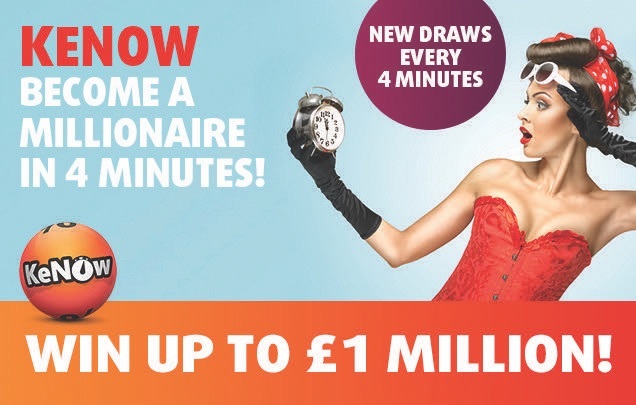 With a £1 starting stake and a potential £1 million jackpot, KeNow offers more opportunities to become a millionaire each week than any other lottery. Select up to 10 numbers from a possible 70, and if you match all 10 you bank the jackpot. A single line with 10 numbers means you have a possible jackpot of £100,000, however you can choose to multiply your stake to increase your potential winnings. A 10x stake means you could win the big £1 million prize. The great thing about KeNow is the flexibility it offers. A single line bet costs just £1, and gives participants the chance to win up to £100,000. If you want to boost your chances, and your potential winnings, simply add additional lines for an extra £1 each time. Adding extra lines doesn't just effect the jackpot, it also boosts your potential winnings on the lower prize tiers. What Are The Draw Times? KeNow runs every single day and kicks off at 5:34am GMT. Draws then run every 4 minutes until 10:54pm GMT. That means there are 12 chances to become a millionaire every hour! With 20 numbers drawn each time, from a possible 70, not getting a single match is quite an impressive feat! The odds of not getting a single number are higher than many of the lower prize tiers, and that's why KeNow rewards any players who don't get a single number in their draw. Participants who chose 8, 9 or 10 numbers on a single line are eligible for this prize tier. With KeNow you could become a millionaire in the time it takes to make a cup of tea. So what are you waiting for? Give it a go today!